Panasonic’s Toughbooks are legendary for their ruggedness and are used by armed forces world-over. Panasonic have now turned their attention to tablets with a line of Toughpads and on show here is a new 7″ Windows 8.1 tablet. 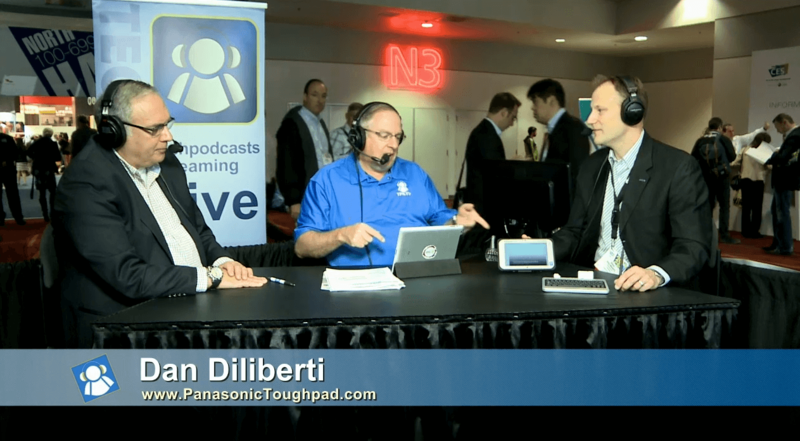 Panasonic’s Toughpad Product Manager Dan Diliberti takes Todd and Don through it. Running the latest Intel Core i5, the FZ-M1 is currently the only 7″ Windows 8.1 tablet on the market. As you’ll see from the video, there’s a dockable keyboard and there is also a pile of expansion options including desktop dock, bar code scanners and smart card readers. Devices like the FZ-M1 don’t come cheap, with a base price of US$2099, but if it’s the kind of device you need, it’s worth every penny.